Managing websites is hard. You constantly need to keep track of file changes, uploads - you name it. 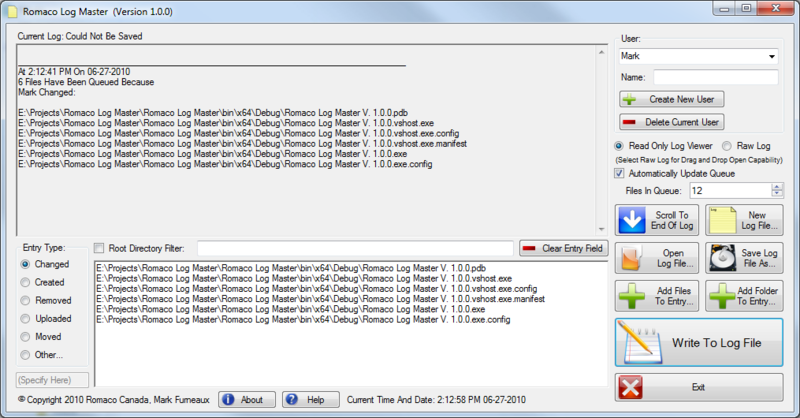 Romaco Log Master is designed to make managing those files a little bit easier. Romaco Log Master can easily log complete file names and file paths with a simple drag and drop. It can handle multiple users, and can automatically keep track of the number of files pending upload.